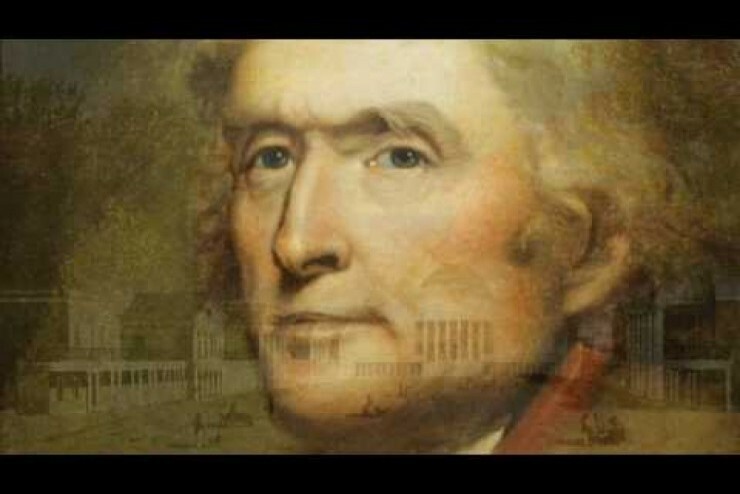 Monticello's powerful introductory film orients all Monticello visitors to key notions regarding Jefferson's ideas and accomplishments, especially his core concepts about liberty that have reached far beyond his place and time in history to the present day. Thomas Jefferson's World illustrates how Jefferson's vision for America and his optimism about the future were driven by his fundamental beliefs in human rights, personal freedom, and democratic values. Jefferson's crucial role in America's revolutionary struggle for independence, his political career, his varied interests, and the conflict in his championing liberty while owning slaves all are explored. The new film also acquaints viewers with the other people - both enslaved and free - who lived and worked on Jefferson's mountaintop, the activities of the plantation, the main house, and to the extraordinary landscapes of Monticello for which Jefferson had such deep affection. The visually rich 15-minute film, developed by Monticello historians and Donna Lawrence Productions of Louisville, Ky., is shown three times per hour every day in high-definition on a 16-foot by 9-foot screen with six-channel surround sound in the 2,400-square foot, 125-seat Theater located on the courtyard level of the Smith Education Center.